What if your mother did drugs with you when you were a teenager? What do you tell your own kids about drugs and alcohol? Do you abstain? Do you indulge? Do you dabble? In episode 13 Margaret, Rachel and Tina open up about their relationship to drugs and alcohol – as kids, as members of counter culture, as mothers of teenage children. This is a transmedia documentary so we want to hear from YOU. Share your opinions and experiences via video response or comment. 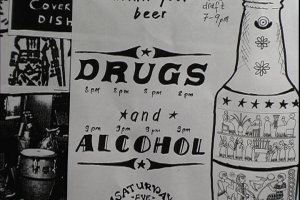 To get you started: What are some of your thoughts about drugs and alcohol? Our tip: Watch from the beginning to find out who these women are and why they’re discussing these subjects. But feel free to just watch whatever subject interests you. Purchase the full 90-minute All’s Well and Fair II (2006 version) limited release DVD via amazon. © 2019 All's Well and Fair. All rights reserved. Premium WordPress Themes.